...The Kingdoms of this world are become the Kingdoms of our Lord.... Amen. (Rev.11:15 KJV): WHY AM I AFRAID OF THIS LANGUAGE????? I want to use this opportunity to welcome you all to another Glorious, Victorious, Joyous Week of the Lord! This week, your testimony is sure! if you believe just smile and nod your head, let your enemies cover their face in shame and confusion!!!! Wow! what a Mighty God we serve!!!!! *smiles* Before I continue please, let pray for our Assistant pastor. Lord Jesus, I thank you for the life of Pastor Gloria, thank you for showing yourself Mighty. For your loving kindness, power in her life o lord we are grateful. Wherever she is right now, let your Spirit locate and renew her strength. Meet her at the point of her need, Divine Favour and Grace will be her portion. I declare every close gate in her life open. Lift up your heads o ye gates and be ye lift up ye everlasting doors; and the king of glory shall come in. who is this king of glory? the Lord strong and Mighty in Battle. The lord of host, he is the King of Glory. I cover her with the blood of Jesus. For I pray with thanksgiving in Jesus’ name, Amen. As I was reading this Bible portion the first thing that came to my mind was “what a reproach”? Beloved don’t you ever in your life bargain anything with the enemies because if you try that, they will trample on you and deal with your corps even when you are dead and gone. If they feel that they can reproach you by any language they are very good at, don’t be afraid just keep on speaking the Word of God as King Hezekiah did. You have to also speak the language that can break cedars of Lebanon. Have you ever experienced any reproach in your life? If you have not praise God but pray seriously against it. No one deserve that, but it just one of the enemies to make God look as a Liar. The Living God that you and I serve! King Hezekiah did not complain to any man when this happen but to God. The God that stretch out the earth from the water, the God that smote Egypt in their first born, the God with a strong hand and with a stretch out hand, Him that divided the Red sea into parts and overthrew Pharaoh and his host into the Red sea!! Hezekiah rent his clothes, and covered himself with sackcloth, and went into the house of the Lord to have face to face talk discussion with God to ask why? 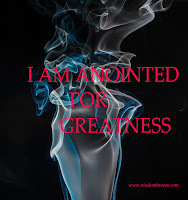 Just like Hannah asked God why at Shiloh because her adversary provoked her sore, when the prophet saw her, he thought she is drunk but she answered and said no prophet my soul is better….i am a woman of a sorrowful spirit. : I have drink neither wine nor strong drink, but have poured out my soul before the Lord…..for out of the abundance of my complaint and grief have I spoken hitherto. And the prophet said to her “go in peace”. Beloved you will agree with me that a close mouth is close destiny. Hannah took a bold step and the celebration, meaning that even in the midst of celebration there are people with bitterness of soul. 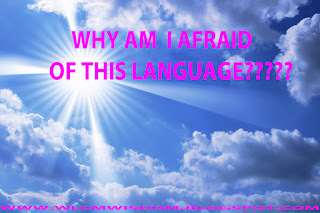 And until you speak the language you know that will provoke the Living God. You will suffer and died in silence. Listen …..No man care for your soul (Psalm 142:4)… but people will definitely celebrate with you when you succeed. That's sure! Hannah spoke the language God understood but the prophet thought she is drunk. Have you ever prayed as if you are mad? Praying in the Holy Ghost? Beloved, you need this language and I need this language too, have tasted it and I can’t seem to have enough of it! If you agree with me that we all need the language "then why do we sit we still? (Jeremiah 8:14) It’s time to voice out. To hold God by His word! Can you imagine Satan using the scripture to challenge Jesus in the wilderness after fasting for forty days and forty nights? Then we need to eat God’s word, drink, and walk with it, breath it in and out! Our very appearance should speak the word. Sometimes there are reproaches that will visit you that you won’t even be able to pray. You will be talking and saying all manners of negative things. Setting words in motion. I know it is not easy but please we have to strife to get our crown. 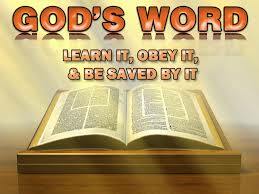 It is written in Proverbs 6:2: thou are snare with the words of thy mouth. And so king Hezekiah sent Eliakim to prophet Isaiah to tell him what they are facing: this day is a day of trouble, and of rebuke and of blasphemy: for the children are come to birth, and there is not strength to bring forth. Beloved, whatever reproach the enemies has brought to your door step, shift aside and "spread" it before the LORD, because the battle is the LORD’S. Are the enemies laughing at you because you trust in the LORD? Hmmm….are they saying let not thy God in whom thou trustiest, deceive thee? Oh Lord it is true these enemies have held a lot of souls captive but lord Jesus, these my beloved treasured readers and leaders of wlcmwisdom’s blog are the apple of your eyes. Others face the reproach because they put not their trust in you, but trust and believe in the work of men’s hand, woods and stones, therefore hey have destroyed them. Now therefore, o Lord our God, save us from the hands of our accuser, our enemies, that all kingdoms of the earth may know that thou art the LORD, even thou only. O Lord send a blast upon them, let us hear rumors, and let them return to their own land, Jesus cause them to fall by the sword of their hands according to your word in Isaiah 37:7. Put your hook in their nose and your bridle in their lips; turn them by their way which they came. Defend the cities of your people; please Lord let your Spirit locate every treasured readers and leaders of this blog to save them for your own sake and for their sake according to your word in Isaiah 37: 35 in Jesus’ name. Amen. I cover you, your family, all that concerns you, this blog and every word of prayer with the Blood of Jesus. Amen. Have a blessed week!!!! Stay connected with the Word!!! The zeal of the Lord shall perform this. Amen. This post blessed my heart. Thank you so much. Amen to the prayers for Glo. God love you, sweetie. Stay strong. God bless you for coming! stay connects to the Word! hope you are doing good dear. I have not seen any report regarding our last week activities. yes the Battle is the LORD's! Awwwwh am broken.. This so much sweetie this is the best gift i have received in a long while.. Yes God answers prayers and am back.. Happy to know you are sound! Powerful message and AMEN to your prayers! thanks Carina for stopping by! Awesome message. It spoke to me. But can you make your scriptures clearer? The colouring makes it a blur and hard to read. God bless you, you are doing what a lot of us find hard to do in this generation, spreading the message of Christ, may the Lord who diligently rewards those who seek him reward you greatly. welcome to this wonderful family Ayandola! thanks a lot for your wonderful observation. I've looked into that.